Now US President, Barack Obama is mesmerized by Slumdog Millionaire.According to the White House Obama wants to watch the acclaimed Slumdog Millionaire. The exhilarating rags-to-riches fairy tale set in Mumbai,swept the Oscars with eight awards including the best picture, best director, best adapted screenplay; with A R Rahman becoming the only Indian to bag two Oscars for the best score and original song. President Barack Obama signed into law a $787 billion economic stimulus plan on Tuesday, predicting the package of spending and tax cuts marked “the beginning of the end” of America’s worst economic slide since the 1930s-era Great Depression. On Wednesday, Obama will outline another big piece of his recovery effort — a $50-billion plan to help stem foreclosures — in Arizona, one of the States hardest hit by the mortgage defaults that are at the centre of the nation’s economic woes. By signing the bill outside of Washington, a highly unusual move, Obama signalled he would continue taking his message directly to the American people as he tries to stay above the partisan tensions still gripping the Capitol. Opposition Republicans in both houses of Congress were nearly unanimous in voting against the plan that Democrats hope will save or create 35 lakh jobs. Shortly after signing the bill, Obama issued a long-expected order to boost US troop levels in Afghanistan, where a resurgent Taliban has retaken much of the ground it lost early in the seven-year-old war. The additional brigades would add about 17,000 troops to the slightly more than 30,000 US forces currently in Afghanistan. “This increase is necessary to stabilise a deteriorating situation in Afghanistan, which has not received the strategic attention, direction and resources it urgently requires,” Obama said in a statement. That was a slap at his predecessor, George W. Bush, whom Obama has accused of slighting urgent national security needs in Afghanistan in favour of the war in Iraq. Obama’s stimulus passage, despite stark opposition, was a major legislative victory for the new President, who was closing out his first month in office under a storm of economic bad news and public pessimism. Even with the promise of a huge infusion for the economy, the stock market tumbled about 4 more percentage points on Tuesday as investors continued selling off equities in a retreat to safer ground. At least one State, Missouri, quickly began putting the promised funds to work. Construction crews began work on a replacement for a rural Missouri bridge minutes after the bill was signed. Officials said they believed it would be the first project supported by stimulus funds. With the stimulus measure in place, Obama now must take vigorous steps to prop up the deeply troubled financial system, ease the pain of Americans facing home mortgage foreclosures and save the teetering auto industry. World number one Tiger Woods has accepted an invitation to speak during U.S. President-elect Barack Obama’s inauguration event in Washington, D.C. on Sunday. “We Are One: The Obama Inaugural Celebration at the Lincoln Memorial” is the first of several events sponsored by the Presidential Inaugural Committee for Obama’s inauguration on Tuesday. “I am honored that I was invited to this historic event and look forward to participating in Sunday’s festivities,” Woods said on his website (www.tigerwoods.com) on Friday. Arguably the greatest player of all time, Woods became the first African-American to win a major at the 1997 U.S. Masters. The 33-year-old clinched his 14th major victory at the U.S. Open in June but has been out of action since as he recovers from reconstructive knee surgery. Woods is among several celebrities who will take part in Sunday’s event at the Lincoln Memorial where civil rights leader Martin Luther King Jr delivered his famous “I Have a Dream” speech in 1963. Others include Hollywood actors Denzel Washington, Jamie Foxx and Queen Latifah and musicians Beyonce, Bono, Bruce Springsteen, Sheryl Crow, James Taylor and Stevie Wonder. George Stephens Jr, the event’s executive producer, said earlier this week a key theme would be Obama’s place in history among other presidents who have led the country in difficult times. “It’s not a celebration of victory; it’s about the country coming together for the future we’re going to face,” Stephens added. “There’s a sense of history about it. Much of the music will be in the context of that history. The Lincoln Memorial is a kind of sacred site.” Sunday’s event, which will be open to the public, will be shown on U.S. cable TV channel HBO, allowing viewers across the United States with access to cable or satellite television to view for free. Hillary Clinton has decided to accept the post of Secretary of State in the incoming Obama administration, a media report said today, raising prospects of former Democratic rivals joining hands to guide the US foreign policy amid steep challenges at home and abroad. Clinton came to her decision after additional discussions with President-elect Barack Obama about the nature of her role and his plans for foreign policy, one of her confidants was quoted as saying by ‘New York Times’. The former first lady, who was defeated by Obama for the Democratic Presidential nomination in a neck-and-neck battle, has decided to give up her Senate seat and accept the powerful post of Secretary of State, the report said. However, her spokesman, Philippe Reines, issued a statement yesterday cautioning that the nomination was not final. “We’re still in discussions, which are very much on track,” Reines said. 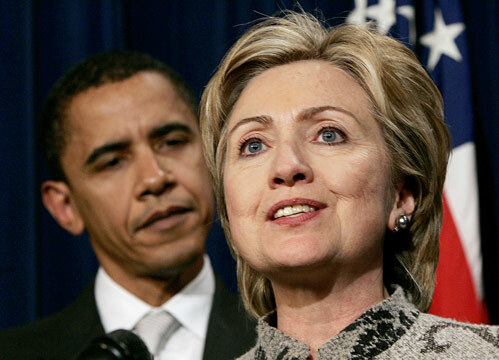 “Any reports beyond that are premature” Obama’s office also told reporters earlier that the nomination is “on track”, but this is the first word from the Clinton camp that she has decided, the paper noted. The purpose of the follow-up talk, he said, was not to extract particular concessions but “just getting comfortable” with the idea of working together. A second Clinton associate, the Times said, confirmed that her camp believes they have a done deal. Senior Obama advisers told the paper that the offer had not been formally accepted and no announcement would be made until after the US Thanksgiving Day which is on November 27. But they said they were convinced that the nascent alliance was ready to be sealed. Obama has stepped up efforts to assemble his future team as he geared up to tackle challenges like the worsening domestic economy and its global impact as well as the ongoing US wars in Iraq and Afghanistan. The decision to offer the second most powerful job in the administration to the 61-year-old Hillary Clinton followed days of intense vetting and negotiations intended to clear any potential obstacles to her taking the job due to her husband Bill Clinton’s global business and philanthropic activities. Lawyers for Obama and former President Bill Clinton combed through his finances and drew up a set of guidelines for his future activities intended to avoid any appearances of conflict of interest should she take the job, the Times said. Citing people close to the vetting, the paper said Bill Clinton turned over the names of 208,000 donors to his foundation and library and agreed to all of the conditions requested by Obama’s transition team, including restrictions on his future paid speeches and role at his international foundation. Driving Hillary Clinton’s deliberations in part, friends told the paper, was a sense of disenchantment with the Senate, where despite her stature she remained low in the ranks of seniority that governs the body. She was particularly upset, they said, at the reception she felt she received when she returned from the campaign trail and sought a more significant leadership role in the expanding Democratic majority. Hillary is known to be reluctant on setting a date for US troop withdrawal from Iraq but in India she is seen as a friend and her appointment would be widely welcomed. In US for women, progress this election year was defined by “creeping and leaping,” said CNN contributor Hilary Rosen.Rosen favored Hillary Clinton, but she and other influential women pundits and activists note that Clinton and Gov. Sarah Palin’s loss at the polls does not diminish the strides they made for their gender. Obama has picked Rep. Rahm Emanuel of Illinois to be White House chief of staff. Health care is another priority, and former Senate Majority Leader Tom Daschle of South Dakota is a possibility for secretary of health and human services.Democratic sources also have said Howard Dean, a doctor who had a strong run as the Democratic National Committee chairman, is hungry for the HHS job. 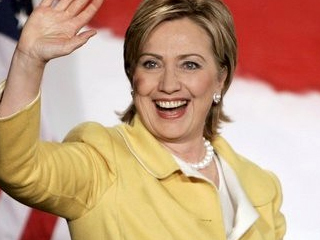 Defeated presidential candidate Hillary Clinton could be secretary of state in the Obama administration. Her office has confirmed that she is in Chicago on what they described as personal business. But Chicago is where president elect Barack Obama presently is with his transition team. It’s not clear if Hillary had any meetings with him. But Democratic Party insiders say appointing her to a key cabinet position would heal the divisions in the party.